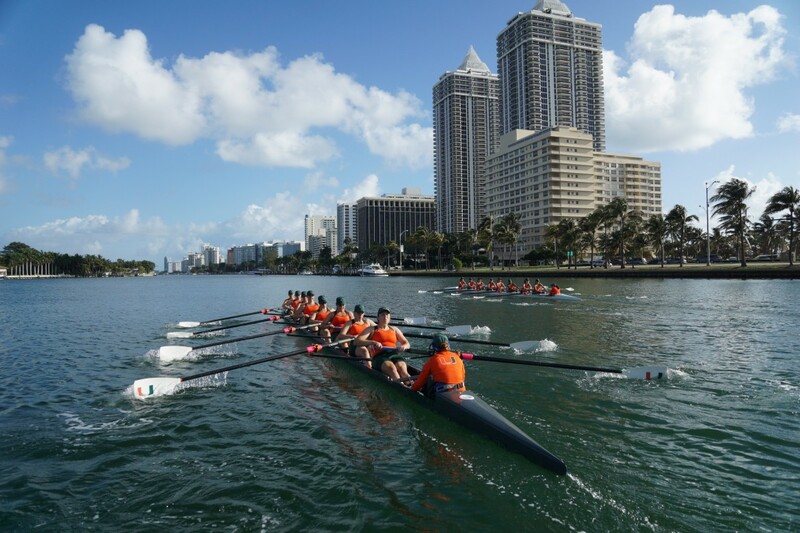 Ohio State University, Barry University and Bates College claimed the top spots in the seventh regular season USRowing/Collegiate Rowing Coaches Association Division I, II and III Collegiate Rowing Poll presented by Pocock Racing Shells. Ohio State earned 19 first-place votes and a total of 461 votes to top the Division I poll for the eighth week in a row. University of Virginia moved into the No. 2 spot with 435 total votes. University of Washington, with two first-place votes and 434 total votes, and University of California, with three first-place votes and 434 total votes, tied for the No. 3 spot this week. Also receiving first-place votes was No. 5 Brown University, receiving one first place vote. In the Division II poll, Barry University earned all five first-place votes and a total of 200 votes to top the Division II poll for the sixth week in a row. Humboldt State remained in the No. 2 spot with 152 total votes, and Mercyhurst remained in the No. 3 spot to round out the top three with 132 votes. In the Division III poll, Bates College claimed the top spot for the first time this spring with all ten first-place votes, and 150 total votes. Williams College remained in the No. 2 spot with 140 total votes. Wellesley College claimed the No. 3 spot with 124 votes. 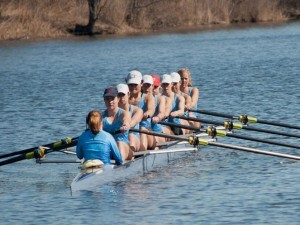 The Collegiate Rowing Coaches Association is sponsored by Pocock Racing Shells. Other Receiving Votes: Oregon State University (36), University of Minnesota (22), University of Louisville (17), University of San Diego (11), University of Iowa (10), University of Central Florida (3), Pennsylvania (1). Other Receiving Votes: Philadelphia University (15), Florida Institute of Technology (13). Other Receiving Votes: Smith College (8),University of Rochester (5), Colby College (5), Lewis and Clark College (1).